The Abitibi Recycling Program is a very successful fundraiser for the PTO. We earn money for unwanted magazines, catalogs, newspapers. We would like to continue increasing our earnings. Beginning November 1, 2008 we can now recycle phone books, paper back and hard back books, and clean flattened cardboard. 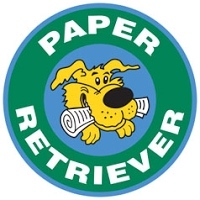 To contribute to this fundraiser, simply take those items to one of the green and yellow bins (called Abitibi Paper Retriever) located at the Lindenthal campus (grades K thru 6), the Middle School (corner of Troxler and 160 next to big shed) and also the High School. This is a great and easy way to help raise money for the PTO! The PTO continues to participate in the General Mills "Box Tops for Education" Program. This has proven to be a very simple, but profitable fundraiser. Each year that we have participated, our totals have increased. 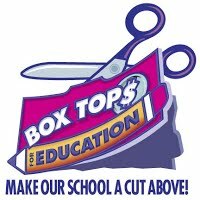 Simply clip the "Box Tops for Education" logo only and turn them into the office. We save them year-round, and send them into the company twice a year. Each box top is worth 10 cents. It doesn't sound like much, but they do add up! Also, ask friends, neighbors, and relatives to help by saving box tops for us. And, remember the box tops aren't just found on boxes. They are also found on Pillsbury refrigerated rolls and biscuits, Yoplait multi-pack yogurt and Go-Gurt, Old El Paso products, Green Giant frozen vegetables, Pillsbury frozen breakfast items, Totino's frozen items, Gold Medal Flour, Bisquick products, Hamburger Helper, Kleenex, and many more! Highland Primary and Highland Elementary will participate in a Box Tops contest which runs during the months of September through April each school year. Watch your PTO newsletter for details. Best Choice is a brand found at Highland's Tru Buy grocery store located at 610 Broadway. The Best Choice brand includes a large variety of products from dairy products packaged in plastic containers and plastic wrap to many kinds of boxed products and canned goods. Just cut out the Best Choice UPC code and send them to your child's school office. Collecting and redeeming Campbell Soup UPC codes is an excellent way for our school to acquire valuable educational tools, such as books and teaching aids. Each school (Highland Primary & Highland Elementary) keeps a running total and are able to order office or school classroom supplies, free. Simply cut the UPC code only (not front label) on eligible brands, (including Campbell's, Franco American, Pace, Pepperidge Farm, Prego, Swanson and V8), and send them to school. Remember to tell all your friends, neighbors, and family members to save them also. Labels for Education UPC's include products such as Dannon, Bic, Glad, Pace, Campbells, Goldfish, V8 Splash, Pop Secret, Spaghettios, and more. Spirit Wear - Forms go out Aug. 18 and due back Sep. 22.